New Transfer Service Available! We provide excursions, tours and day trip transfers in Malaga and day trips anywhere on the Costa del Sol. We also offer tours to other popular places in Andalusia including: Cadiz, Cordoba, Gibraltar, Granada, Jerez, Nerja, Ronda, Seville and Tarifa. Our Transfer company provides the most interesting destinations at the most competitive prices. We are sure you will love Malaga and want to return someday. Below you find information about some of our organized trips: Route, date and price. How could it be otherwise, you will go up to the Rock and discover how the Macaques live peacefully in freedom. Once on the mountain the journey will continue visiting the Great Siege Tunnels where the cannons still remain in Defence Position. 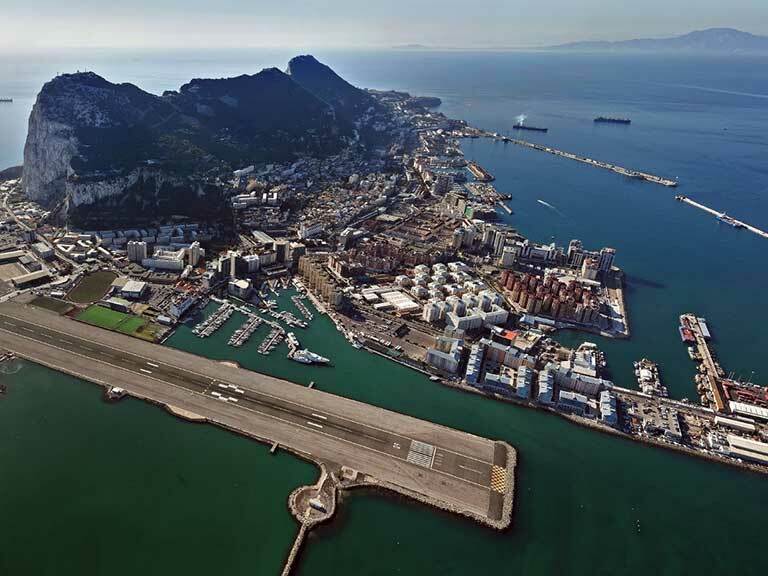 The next stop is the viewpoint of Europa Point and finally you will have time to go shopping in the centre. Optionally you can make a boat trip near the Strait to see dolphins in their natural habitat. 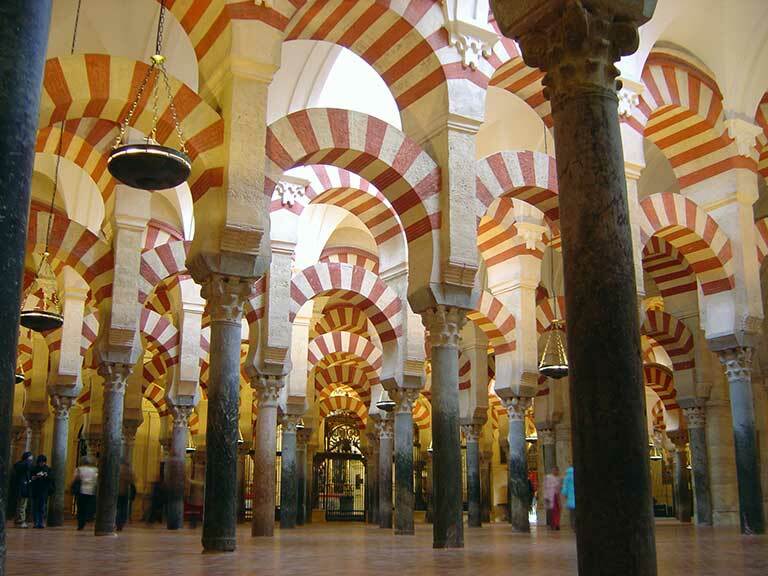 The first stop on the journey is to see first-hand the Cathedral and Mosque. You will continue to take a walk through the Jewish Quarter and visit the Synagogue. 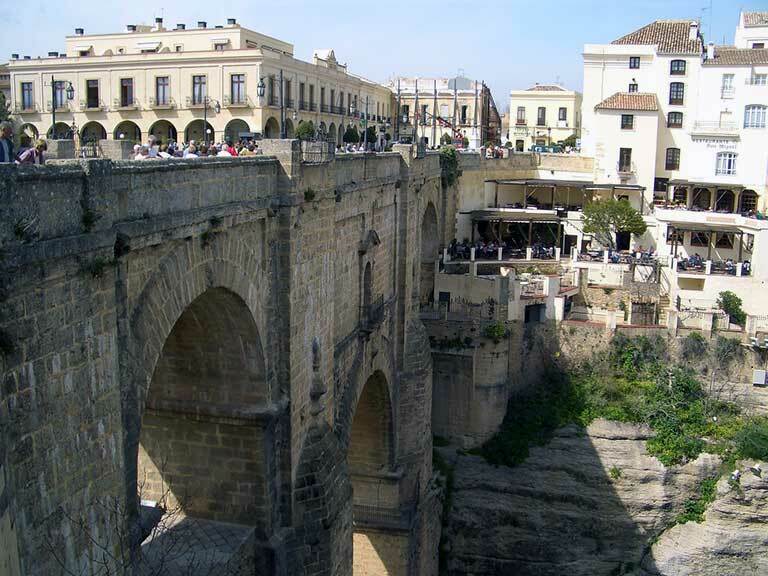 The tour concludes crossing the ancient Roman Bridge and providing enough time to visit the historic centre of Cordoba. 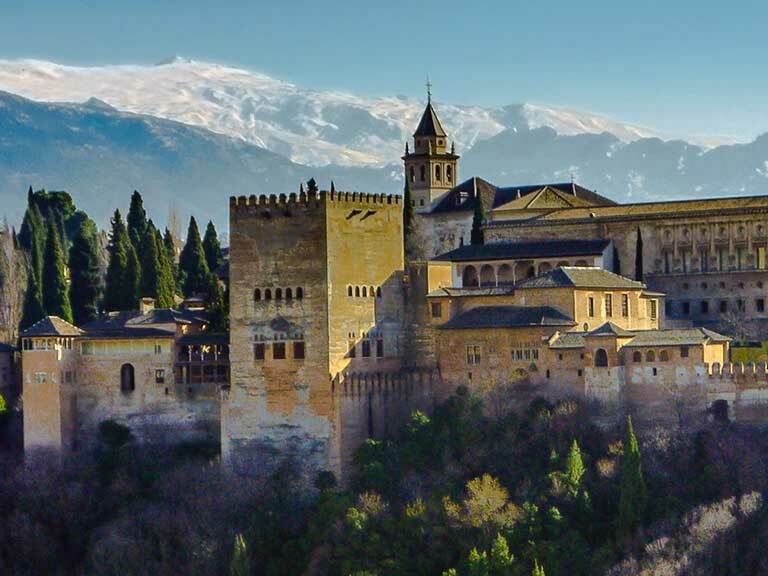 During the trip you will visit first the Alhambra in Granada making a complete tour of the Moorish marvel. Furthermore you will have the opportunity to stroll through the gardens of the Generalife and access the Palace of Carlos V; the first one being situated next to the Alhambra and the second one inside the enclosure. The tour will conclude with great views of Granada from the viewpoint Mirador de San Nicolas. 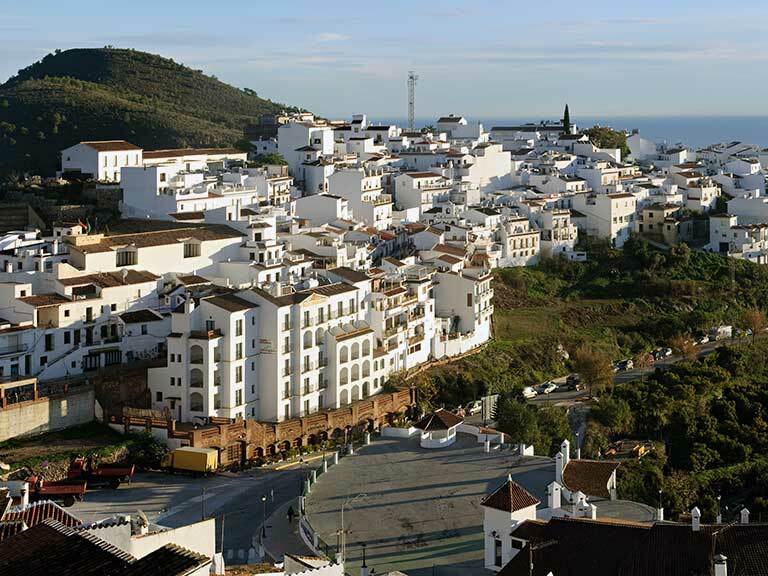 First we start visiting the interior municipality of Frigiliana, a typical Andalusian town of low white houses surrounded by mountains. After breakfast you will travel to the seaside resort of Nerja with spectacular beaches and coves. Finally, if there is time, we travel to Almuñecar, a nearby municipality of Granada province. The trip to Ronda, one of the most beautiful inland towns of Malaga, begins visiting the church Santa Maria la Mayor a religious building of three different building styles. Following is the visit to the beautiful Casa de Juan Bosco and then there will a stop at Tajo de Ronda to enjoy the view from the New Bridge. You will visit the bullring and you make a stopover in Puerto Banus if there is enough time. 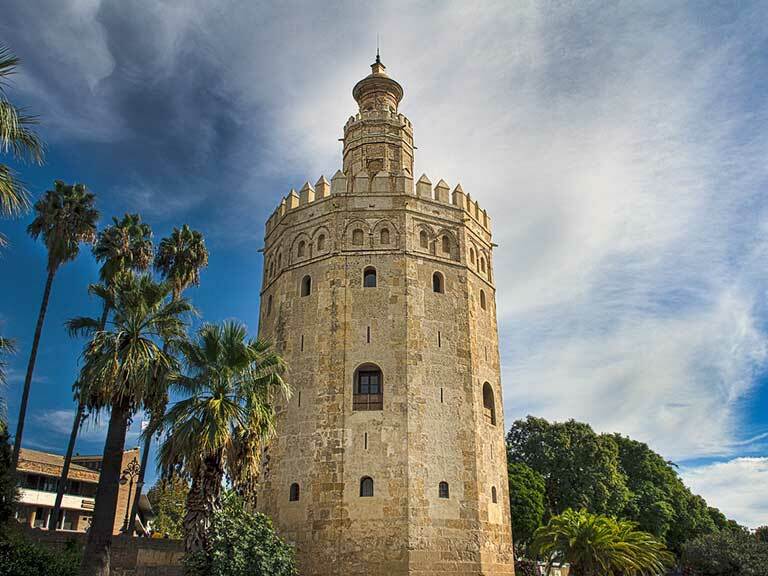 During the trip to Seville you will visit magnificent monuments like the Cathedral and the Giralda, you can stroll through the district of Santa Cruz and the park Parque de Maria Luisa where is situated the impressive Plaza de España. You will also see the ancient area of the Expo `92 and after lunch in the centre you´ll have enough time to stroll through the beautiful city discovering interesting places. After picking you up, the bus will head to Tarifa or Algeciras to take a ferry to Tangier. 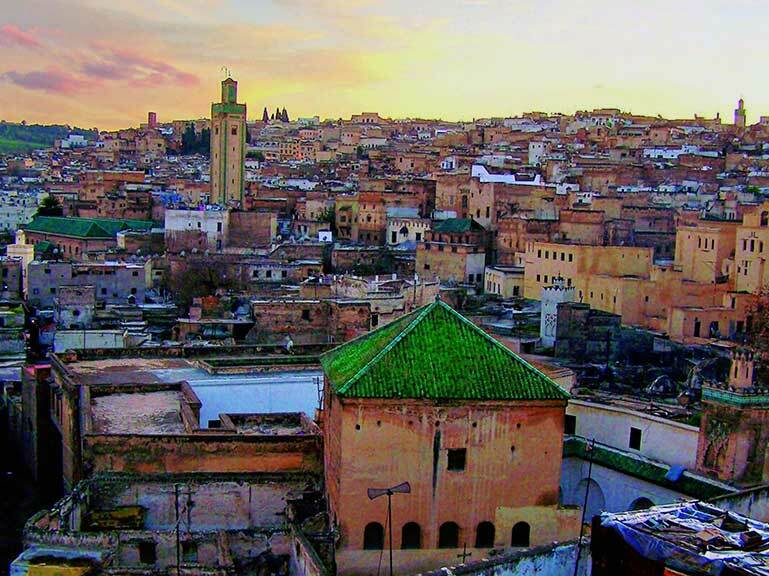 Once there, the first thing to be visited is the Medina of Tangier whose rich history makes it one of the most interesting. The next thing to discover will be the souks or markets full of colours and scents. You´ll continue with a tour of the Kasbah of Tangier to conclude with lunch at a traditional restaurant in the Arab city. Due to high temperatures during the summer in Andalusia, our recommendation when booking a tour at this time of year is to bring along approved sunglasses, a hat and to drink water frequently. However during the winter months we recommend carrying a coat because in some locations, temperatures drop below 10 degrees. Besides temperatures it is also appropriate to wear the most comfortable shoes possible especially for those trips that involve long walks. In most day trips there will be an early stop for breakfast and optionally you’ll have more than enough time for lunch. Do not forget to also check your documentation in advance, passport or ID card, be sure to have it in order and have it on hand at all times during the trip. Journey time to Malaga, Mijas, Gibraltar, Nerja, Tarifa, Ronda, Marbella: 5 hours. Travel time to Granada, Cordoba, Cadiz, Jerez, Seville: 10 hours. How to book a day trip with us? To hire any tour, whether personalized or organized, ask us for more information; don´t hesitate to contact economytransfer.com and please provide all details of the desired trip.